Begin the New Year with Positive Changes – Make it Your Resolution to Become TAM® Certified – TAM Card® Nation in Vegas! Las Vegas kicked off the New Year in high style with parties at all of the hottest spots around town. While Metro police noted that the evening’s festivities remained relatively orderly, there were 22 arrests for those suspected of drunk driving, and approximately 57 arrests for minor misdemeanor offenses on the Strip (Fox 5 Vegas). Drunk driving is never OK and rowdy behavior can be problematic for all of your guests and staff. Why not vow to help try and cut that number drastically in 2012? 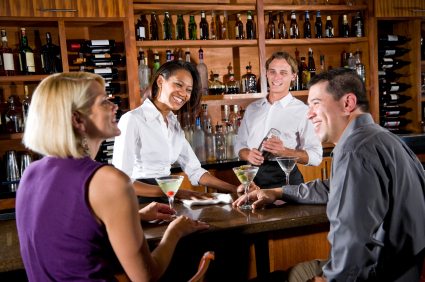 TAM®-Certified professionals know how to help keep things safe when serving alcoholic beverages, which can cut down drastically on these types of behaviors from patrons, and help keep the mood celebratory and fun for all. Why not kick off the New Year by doing all you can to provide excellent service to your patrons while also making sure they are not over-served and able to get home safely? 2012 can be the year to resolve to make changes in your career, education and business. Whatever your resolution, TAM® of Nevada has some ideas to get you motivated. Sign up for your TAM® Class and get trained the right way. Carry your TAM card to show you received the best possible training. Protect yourself and your employer by getting your mandatory alcohol education through TAM® of Nevada. Contact us today to sign up for one of our online or classroom-based training sessions and kick off the New Year by completing or renewing your alcohol education. Start an exciting new career or expand your existing career in the service industry. Resolve to begin the search to find your dream job, or make changes in your attitude and delivery at your current job. If you’re looking for a new career, make this the year that you up the ante on your job search. Show employers you are serious about obtaining the best possible training by obtaining a TAM® Card, and then make sure to read out blog post “You’re Hired! Landing a Job in the Hospitality Industry” for tips on making the most of your job search and nailing the interview. Or, if you’re already happy in your current position, why not take it to the next level and work on customer service? Wow both your patrons and your boss with a fresh new outlook and dedication to providing excellent service. Check out our blog posts “Set the Tone and Increase Your Earnings with Positive Body Language” and “Service Excellence: Best Practices for Hospitality Professionals” for even more tips and ideas on how to impress your guests and net better tips. Try out new ideas, deals, and special events at your establishment to kick start sales and draw in new patrons. There are many reasons why establishments can see a sales dip – increased competition, shifting tastes and attitudes of patrons, tired selections and décor, etc. Sometimes it’s tough to break old habits and get out of a rut, but hard work and creative thinking can pay off big for your business. Resolve to make 2012 the year you start thinking outside of the box and try new ideas to increase sales, motivate your staff and get customers buzzing about your establishment. If you’re ready to start brainstorming, read “Are Your Happy Hour Deals Falling Flat? New Ideas to Boost Your Bar Sales” and “Beating the January Lull” from Nightclub & Bar for more ideas to help you get started.